This course addresses the push in model of Special Education (SPED) by helping teachers meet all students’ learning needs in today’s diverse classrooms. 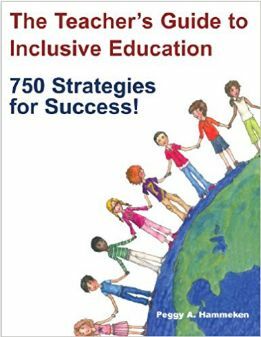 This comprehensive course shows how to establish an inclusive education program or enrich an existing one. This course provides strategies to assist students who are in special programs, who may be at risk, or who simply need additional support to be successful. By exploring 108 reproducible activities and forms including a complete resources section, this practical text covers an array of current assessments, learning tools and legal implications of the SPED student and their classroom teacher. Educators will explore the topics of accommodation and modification and how to best implement these in the most effective and discreet ways. Teachers will examine how to instill strategies for daily assignments and assessments in a push-in model for the SPED student in the general education classroom setting. Educators will be presented with ways of improving student behavior and social skill development. Teachers will have the skills and knowledge to use the best professional standards in the implementation of Individualized Education Plans (IEP’s) goals, supports and differentiation in the mixed ability classroom.